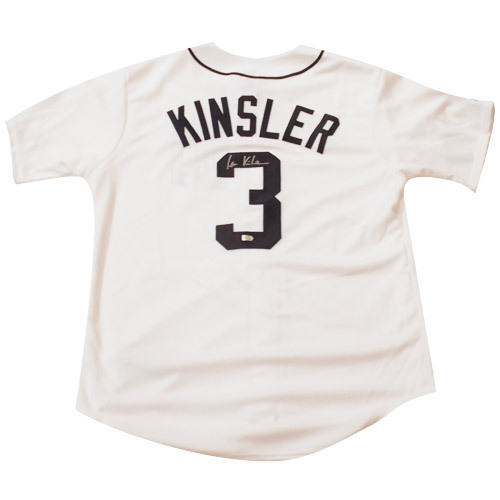 Tigers Jose Ian Kinsler has personally signed this official Majestic replica jersey. This jersey is sold in size Large, XL or 2XL. Please email authentics@tigers.com with your size preference and order ID #. This autographed jersey is officially licensed and authenticated by Major League Baseball and comes with the MLB hologram guaranteeing it's authenticity.